* spectral NCPM near 1300nm. 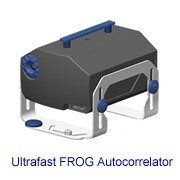 * fast delivery(10 days for polished only, 15 days for AR-coated). LBO is phase matchable for the SHG and THG of Nd:YAG and Nd:YLF lasers, using either type I or type II interaction. For the SHG at room temperature, type I phase matching can be reached and has the maximum effective SHG coefficient in the principal XY and XZ planes (see Fig. 2) in a wide wavelength range from 551nm to about 2600nm. The optimum type II phase matching falls in principal YZ and XZ planes(see Fig 2). SHG conversion efficiencies of more than 70% for pulse and 30% for cw Nd:YAG lasers, and THG conversion efficiency over 60% for pulse Nd:YAG laser have been observed. 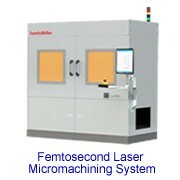 l More than 480mW output at 395nm is generated by frequency doubling a 2W mode-locked Ti:Sapphire laser (<2ps, 82MHz). The wavelength range of 700-900nm is covered by a 5x3x8mm3 LBO crystal. 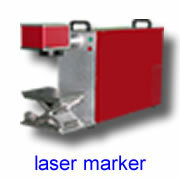 l Over 80W green output is obtained by SHG of a Q-switched Nd:YAG laser in a type II 18mm long LBO crystal. l The frequency doubling of a diode pumped Nd:YLF laser (>500µJ @ 1047nm, <7ns, 0-10KHz) reaches over 40% conversion efficiency in a 9mm long LBO crystal. l The VUV output at 187.7 nm is obtained by sum-frequency generation. l 2mJ/pulse diffraction-limited beam at 355nm is obtained by intra-cavity frequency tripling a Q-switched Nd:YAG laser. AS shown in table 3, Non-Critical Phase-Matching (NCPM) of LBO is featured by no walk-off, very wide acceptance angle and maximum effective coefficient. It promotes LBO to work in its optimal condition. 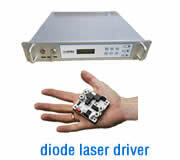 SHG conversion efficiencies of more than 70% for pulse and 30% for cw Nd:YAG lasers have been obtained, with good output stability and beam quality. As shown in Fig.3, type I and type II non-critical phase-matching can be reached along x-axis and z-axis at room temperature, respectively. l Over 11W of average power at 532nm was obtained by extra-cavity SHG of a 25W Antares mode-locked Nd:YAG laser (76MHz, 80ps). 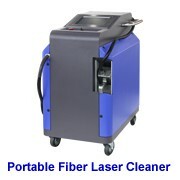 l 20W green output was generated by frequency doubling a medical, multi-mode Q-switched Nd:YAG laser. Much higher green output is expected with higher input. LBO is an excellent NLO crystal for OPOs and OPAs with a widely tunable wavelength range and high powers. These OPO and OPA that are pumped by the SHG and THG of Nd:YAG laser and XeCl excimer laser at 308nm have been reported. The unique properties of type I and type II phase matching as well as the NCPM leave a big room in the research and applications of LBO’s OPO and OPA. Fig.4 shows the calculated type I OPO tuning curves of LBO pumped by the SHG, THG and 4HG of Nd:YAG laser in XY plane at the room temperature. And Fig. 5 illustrates type II OPO tuning curves of LBO pumped by the SHG and THG of Nd:YAG laser in XZ plane. l A quite high overall conversion efficiency and 540-1030nm tunable wavelength range were obtained with OPO pumped at 355nm. l Type I OPA pumped at 355nm with the pump-to-signal energy conversion efficiency of 30% has been reported. l Type II NCPM OPO pumped by a XeCl excimer laser at 308nm has achieved 16.5% conversion efficiency, and moderate tunable wavelength ranges can be obtained with different pumping sources and temperature tuning. l By using the NCPM technique, type I OPA pumped by the SHG of a Nd:YAG laser at 532nm was also observed to cover a wide tunable range from 750nm to 1800nm by temperature tuning from 106.5°C to 148.5°C. l By using type II NCPM LBO as an optical parametric generator (OPG) and type I critical phase-matched BBO as an OPA, a narrow linewidth (0.15nm) and high pump-to-signal energy conversion efficiency (32.7%) were obtained when it is pumped by a 4.8mJ, 30ps laser at 354.7nm. Wavelength tuning range from 482.6nm to 415.9nm was covered by increasing the temperature of LBO or rotating BBO. Not only the ordinary non-critical phase matching (NCPM) for angular variation but also the noncritical phase matching for spectral variation (SNCPM) can be achieved in the LBO crystal. As shown in Fig.2, the phase matching retracing positions are λ1=1.31μm with θ =86.4°, φ=0° for Type I and λ2=1.30μm with θ=4.8°, φ=0° for Type II. The phase matching at these positions possess very large spectral acceptances Δλ. The calculated Δλ at λ1 and λ2are 57nm-cm-1/2 and 74nm-cm-1/2 respectively, which are much larger than the other NLO crystals. These spectral characteristics are very suitable for doubling broadband coherent radiations near 1.3μm, such as those from some diode lasers, and some OPA/OPO output without linewidth-narrowing components. 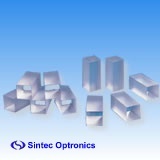 The crystal holder (free) and oven & Temperature Controller (for NCPM,OPO,OPA applications) are available for BBO & LBO. l Dual Band AR-coating (DBAR) of LBO for SHG of 1064nm. * Broad Band AR-coating (BBAR) of LBO for SHG of tunable lasers. * Other coatings are available upon request. l Quality Warranty Period: one year under proper use. 1. LBO has a very low susceptibility to moisture. Users are advised to provide dry conditions for both the use and preservation of LBO. 2. Polished surfaces of LBO requires precautions to prevent any damage. 3. We can select and design the best crystal for you, if the main parameters of your laser are provided, such as energy per pulse, pulse width and repetition rate for a pulsed laser, power for a cw laser, laser beam diameter, mode condition, divergence, wavelength tuning range, etc.